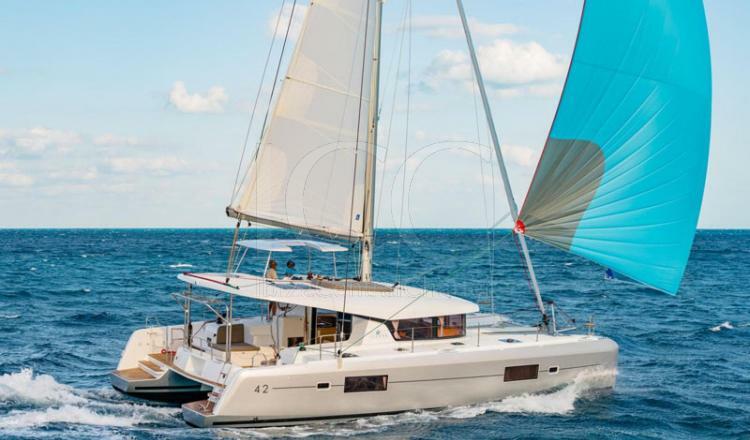 GOA 6 Lagoon 42 combines exceptional comfort with commendable services, located in the Port of San Antonio (IBIZA). 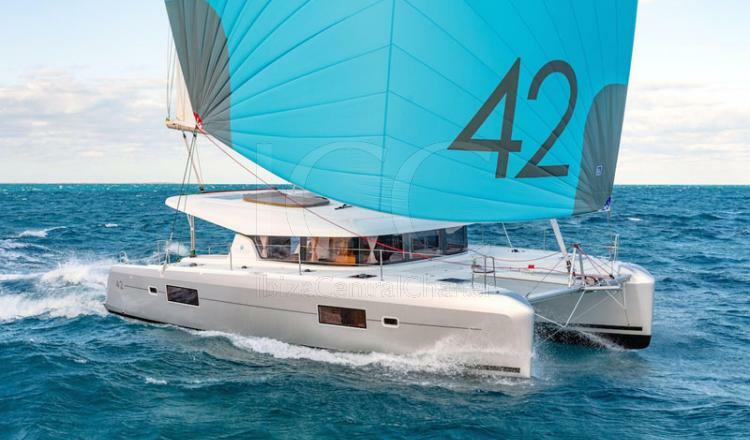 The Lagoon 42 has almost 13 meters of length and stands out for its elegant design with fluid curves that make this boat has a powerful and dynamic character. The back terrace has an outdoor living room with comfortable seats and dining table ideal to recharge while enjoying an outdoor snack. 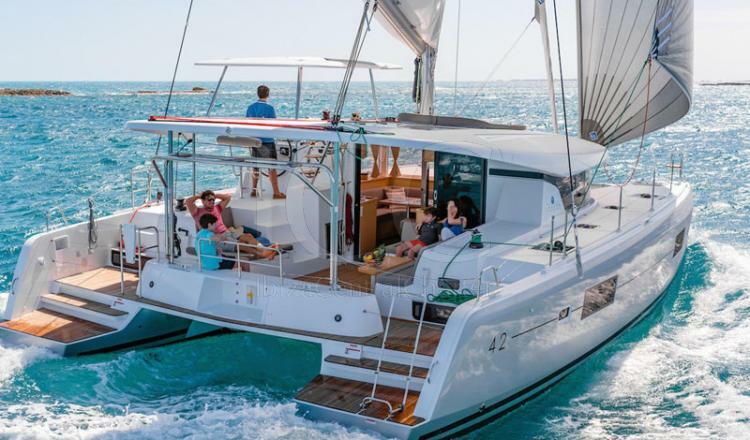 All the terreza is located at the same level, so there is a direct communication between the cockpit and the cabin ensuring ample space with a fluid circulation on board. 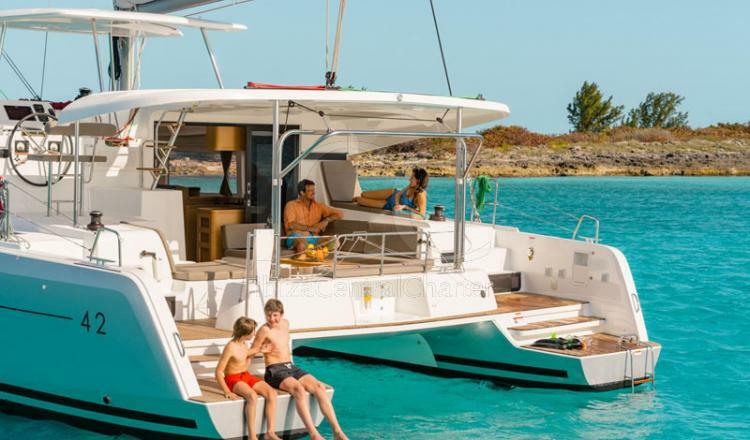 The boat has navigation LEDs and lights on deck, ideal to set the summer nights and make the terrace a special and cozy place. 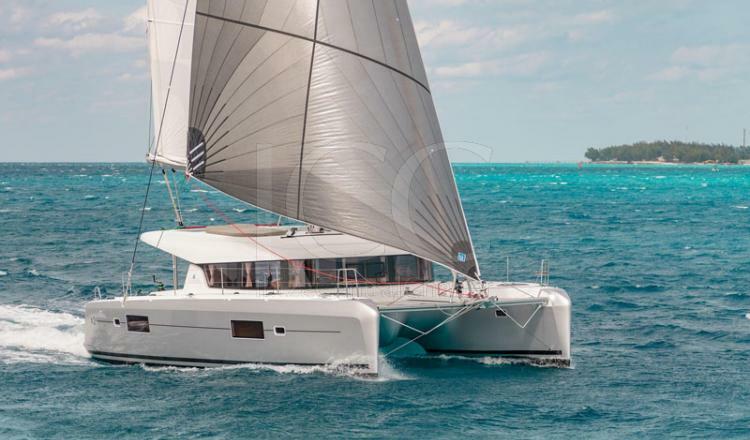 On the other hand, during the day your bow nets will become the perfect option to lie down and relax while watching the surf while sailing. 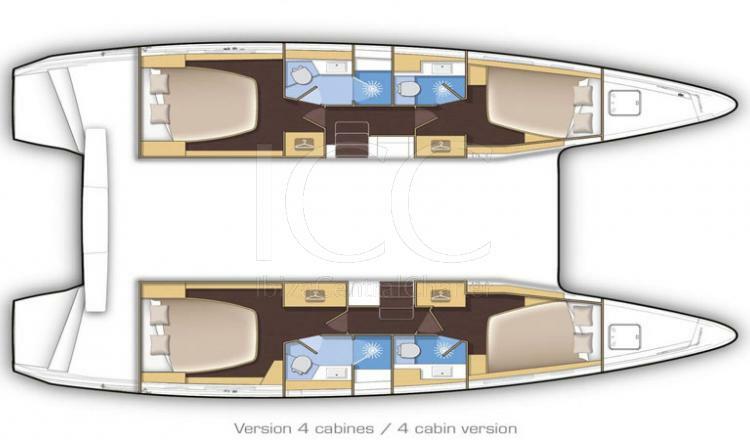 The position of government is located in the flybridge, offering total independence for the government and sail maneuver in order to provide greater comfort to the aft terrace. In addition, the flybridfe has a large solarium for passengers to sunbathe. 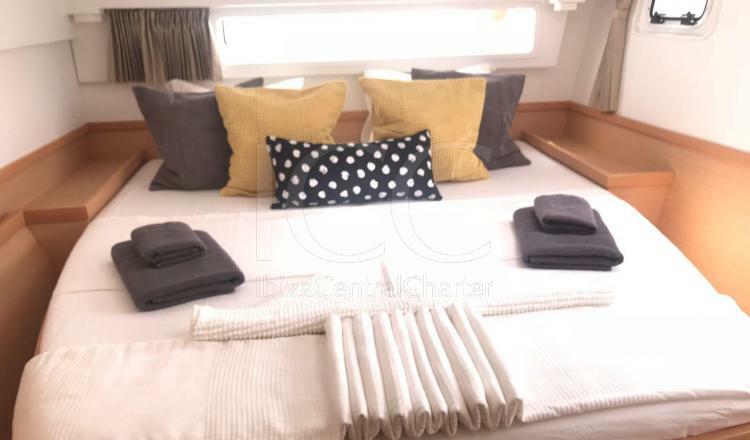 In the interior area there are 4 double cabins with large windows that facilitate the entry of natural light and furniture that combines elegance and functionality. 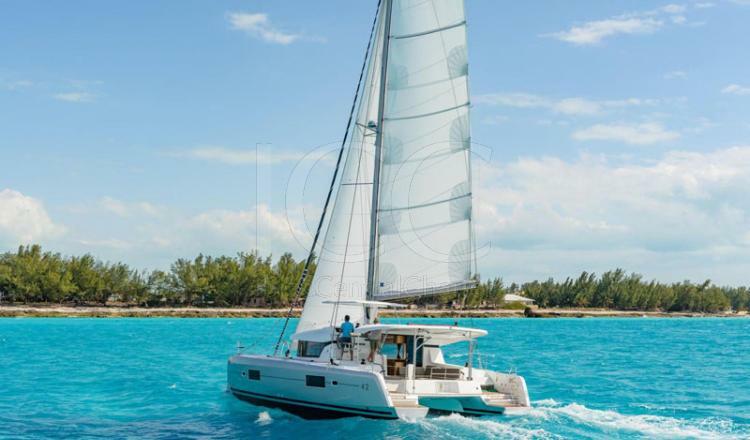 All cabins have a private full bathroom, equipped with an extra space for the shower. Offering the necessary privacy for a group of 12 people during the day and 10 people with overnight stays. The living room is spacious with panoramic views to enjoy the beautiful coves of Ibiza and Formentera from the inside. 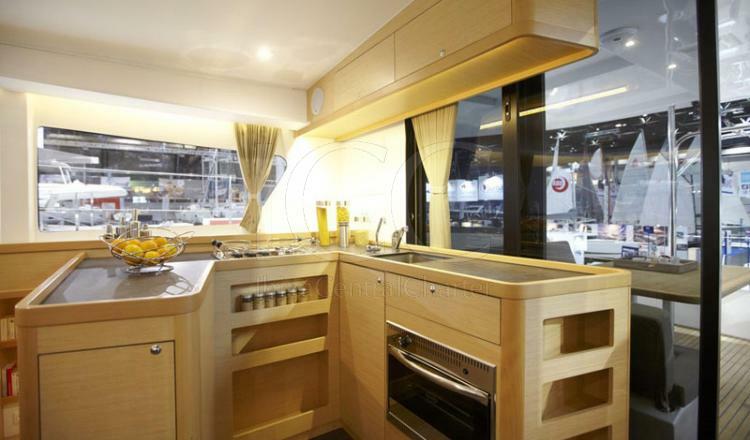 The kitchen is fully equipped with large work surfaces and storage space. - Semi-rigid Zodiac 3,10 with 4-stroke out-board engine. - Mooring outside the base port. 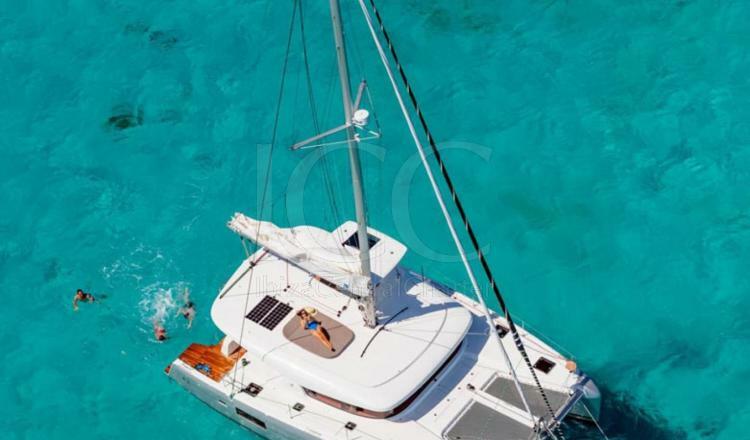 - 20% of the total of the rent if the cancellation is made 60 days before boarding. - 40% – if made between 30 and 60 days before boarding. - 50% – if made between 30 and 15 days before boarding. - 100% if made during the last 15 days before boarding. 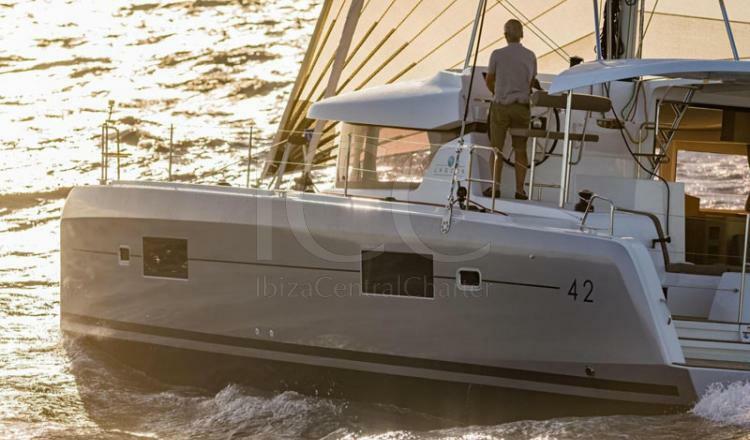 ** For weekly charters you can check-in and check-out on Mondays at the Ibiza Yacht Club at a cost of 250€.